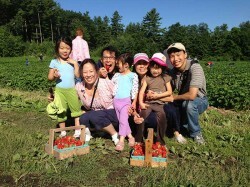 At Parlee Farms in Tyngsboro, MA (near Boston), we have two strawberry seasons for covering over six acres. 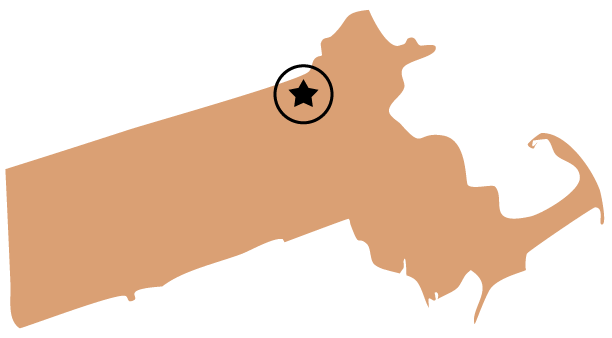 The traditional New England varieties are known as “June Bearers”. These are available for pick-your-own and fresh picked in our farmstand. We have five varieties available for picking from mid-June until mid-July. From mid-August until late September, we offer two varieties of late season strawberries that are some of the juiciest strawberries you will ever taste. The late summer strawberries are available as fresh picked in the farmstand only (sorry, no pick your own). So now you can enjoy fresh picked strawberries from Parlee Farms for most of the summer! 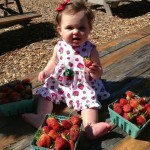 During the strawberry season, details on pick-your-own hours and prices can be found at Today’s Farm News. We encourage families to pick together as it is a wonderful way to create memories. Young children will need assistance with picking. Strawberry picking requires some skill as the berries have to be ‘pinched’ with the thumb and index finger to remove them from the plant. Each berry should be looked at carefully before picking as they do not fully ripen at the same time. A red berry is the best berry! There are a few logistical issues when picking strawberries. Due to the narrow width of the aisles in the strawberry patch, strollers and wagons are too wide to take inside the patch. At our farm, you can take a stroller or wagon to the edge of the field. Also, as strawberries lay on the ground, care must be taken not to step on the berries. So, although more care and attention is needed when picking strawberries (for both adults and children), there is nothing like the taste of fresh picked strawberries or the joy of picking as a family! Do not rinse berries until you are ready to use them. Keep the stems on the strawberries until you are ready to use them to keep the juice in the berries. Best when used within 2-3 days after picking. Wash berries and drain in colander. Remove stems and slice (or crush) berries as you stem them. If additional sweetness is desired, add 3/4 cup of sugar to 4 cups of sliced berries. Stir and let stand until the sugar dissolves (just a few minutes). Place in freezer containers leaving 1/2 inch head space for expansion and put immediately into freezer.